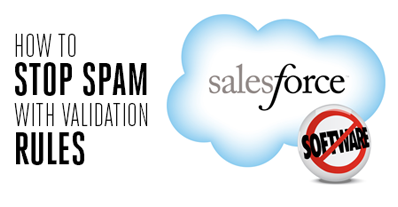 If you use the Salesforce native Web-to-Lead form for capturing prospects questions, inquiries, or stories, you might have found that your incoming leads are 99% spam. We use the Web-to-Lead form on our site to start the marketing automation process, and a year ago, it was more of a headache than a solution. Internally, we have a process to sort through our leads manually, figure out who is real versus who is a spam-bot, and then reach out to them. Since it’s a manual process, the person having to go through those leads wants to maximize his time on phone calls and minimizing the time it takes to find that qualified person. He found that of the new leads he was given in his queue, that over 99% were spam. It’s easy to tell they’re spam, but that’s not the problem; the problem is in the time it takes to delete them. It’s a waste of time, and during a mass-delete, it’s easy to accidentally delete a good lead. The solution to the problem is on-going, but it’s very simple. 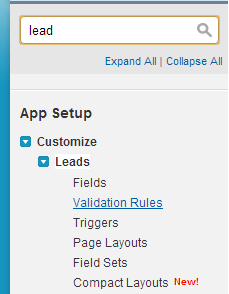 Inside of Salesforce, there is a setting for Lead Validation Rules. Simply put, if a lead contains a set of words you define, then it’s thrown away before it’s even added to Salesforce. This has saved countless hours, and is a snap to setup. 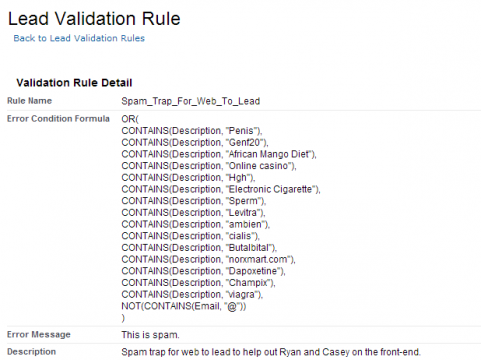 Here’s how to setup Lead Validation Rules on the Web-to-Lead process in Salesforce. You’ll need to be logged in as the Administrator to setup a Validation Rule. Then, in the search box on the left, search for “Lead”. You’ll see “Validation Rules” below the Lead listing. Click that. This simple rule will take any lead that contains the word “Viagra” and throw it away. Recently, we’ve seen a host of Web-to-Lead forms coming in with email addresses that were not valid. To throw those out, we’ve added that final line that necessitates all email addresses to have an @ symbol in the email. If you have questions, let us know. This simple trick should save you tens of hours of manual deletion time.